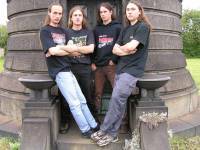 Formed in 1990 in Libice nad Cidlinou (Czech Republic) under the name Devastator, they eventually changed their name to !T.O.O.H. !, an acronym for 'The Obliteration of Humanity'. !T.O.O.H.! 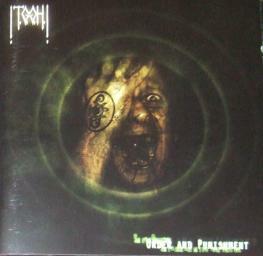 is hard to classify into one genre, showing elements of death metal, grind, folk-influence, and even progressive metal. They have released four albums: From Higher Will (1999), Z Vyšší Vůle (2000) (This was the Czech release of From Higher Will, which has Czech lyrics instead of English ones), Pod Vladou Bice (recorded as a duo, 2003), and Rád a Trest (2006). !T.O.O.H.! disbanded shortly after putting the finishing touches on the "Rád a Trest" (Order & Punishment) album due to financial issue [caused in no small part by their having been promptly dropped by Earache, who took the album out of print only two months after its release].